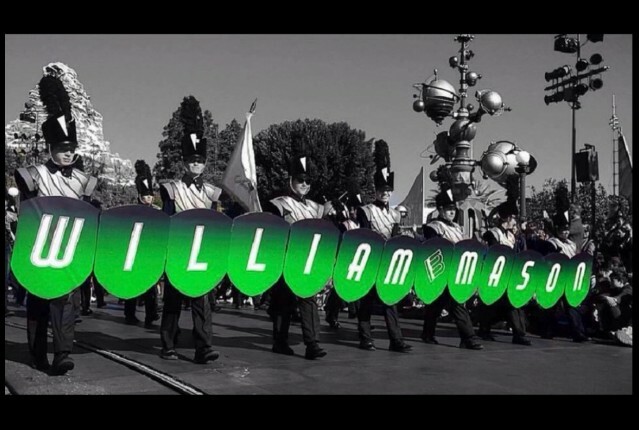 The William Mason Marching Band is the largest student organization on campus with over 300 students involved. Students in 9th through 12th grade make up one of the best high school marching bands in the nation. The Marching Band season takes place from late July to mid November. Marching Band is a co-curricular activity that meets entirely outside of the school day. 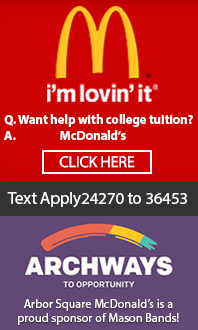 Students receive one-half credit and can also earn PE credit for their participation. All musicians in Marching Band must be enrolled in one of the school concert bands. 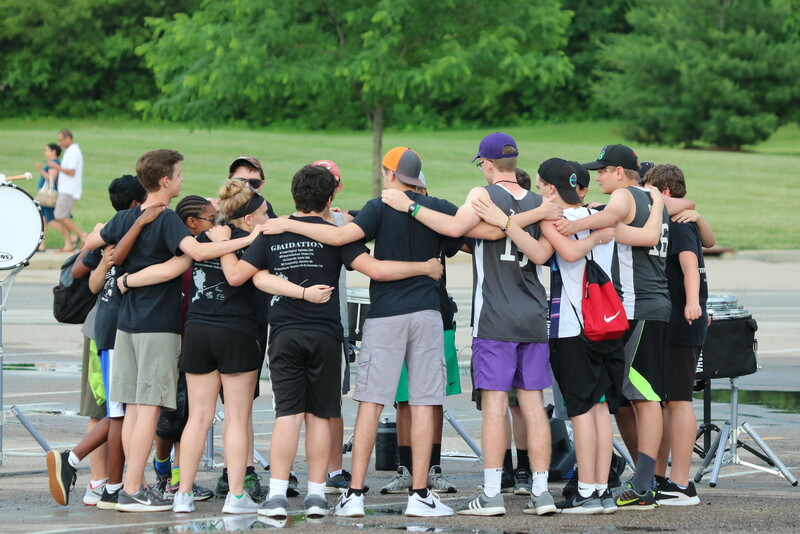 The Marching Band season begins with a short mini-camp in May, following the end of school. Band Camp begins in late July with daily sessions. During the school year, Marching Band rehearses several times a week and performs at home football games as well as some away football games. The Marching Band performs in several competitions in the Mid-States Band Association and Bands of America circuits. Mason also hosts several competitions, with more information in the “Resources” section of the website. The Mason Marching Band has performed in Indianapolis, IN; St. Louis, MO; Pontiac, MI; Atlanta, GA, as well as Pasadena, CA in the 2016 Tournament of Roses Parade. The Marching Band has been named the MSBA Open Class Champion numerous times, as well being BOA Regional Champions in 2010, 2013, 2014, 2015, 2016 and 2018. 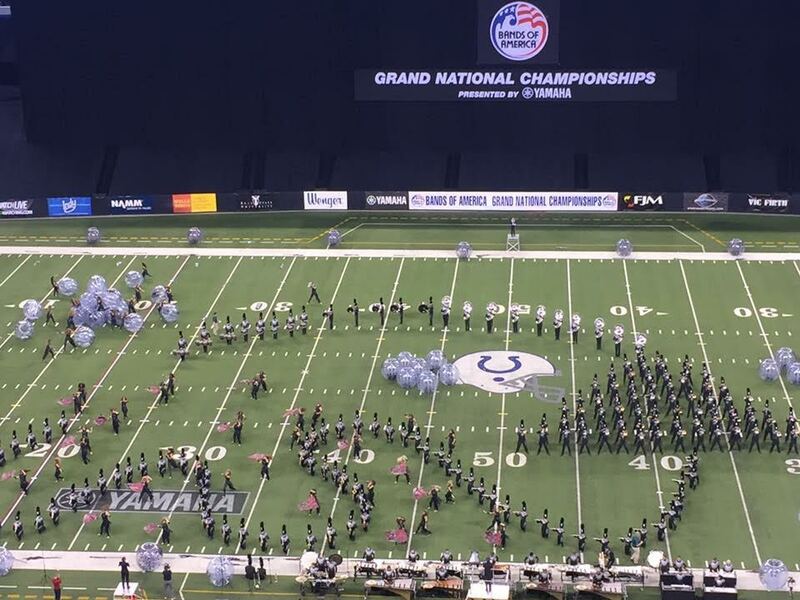 Mason has been a finalist in Bands of America Grand National Championships seven times, placing 10th in 2011, 8th in 2012, 6th in 2013, 5th in 2014, 4th in 2015, 3rd in 2016, and 7th in 2018. In 2016, the band was awarded the “Outstanding Visual Effect” award in Class AAAA in Semi Finals, their first caption award at Grand Nationals. In 2011, the William Mason Marching Band was awarded the Sudler Shield. The Band is recognized as one of the top high school marching bands in the country and has been featured in Halftime Magazine.